Miracle baby Royce Cannon was born premature at just 30 weeks gestation after his mother, Felice Renfroe, was diagnosed with preeclampsia. Royce was delivered via emergency c-section at Akron Children’s Hospital. Royce is now a month old, and excluding the first hour after his birth, his mother, who is a nurse’s aide, has never left his side in the Neonatal Intensive Care Unit. 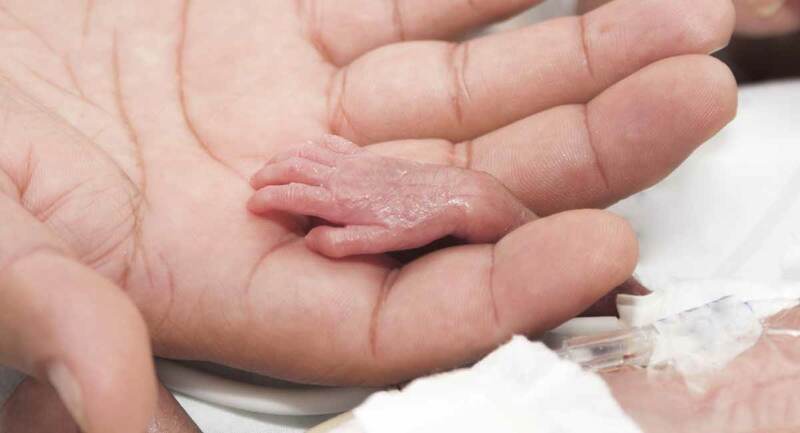 “I think that makes such a huge difference in babies’ development and how well they do in the NICU when their parents are there all the time,” said Stephanie Sykes, a neonatal nurse practitioner. Babies the same gestational age as Royce have an amazing chance of survival, thanks to advances in modern medicine. According to current research, after 28 weeks, babies have a 96 percent rate of survival. If they weigh less than three pounds, four ounces like Royce, they can face a tougher fight and are more at risk for disabilities than babies who weight more. Despite the fact that these babies are capable of surviving outside of the womb, it is still legal in the United States to kill a child this age through abortion.